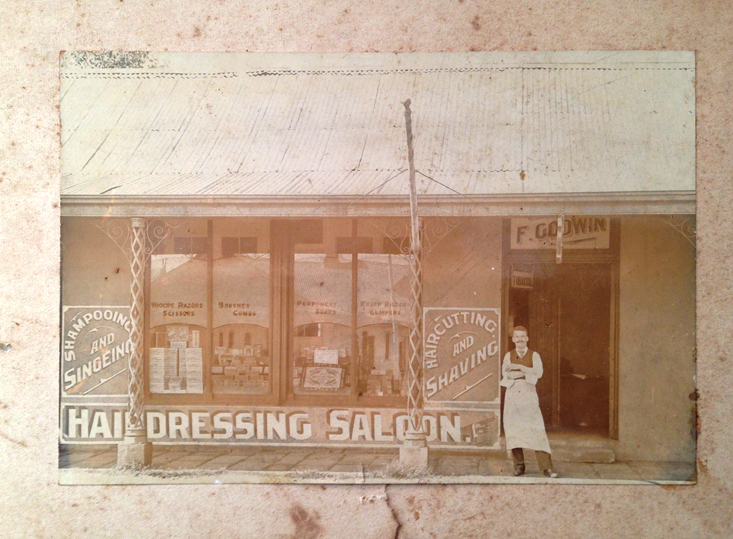 This is my great grandfather (on my mothers side) Frank Godwin, outside his hairdressing Saloon in Newcastle, KZN. He was apprenticed at age 14 in 1895 by his own consent and that of his father George Godwin to William Whiley in the Parish of Newbury in the Coventry of Becks to learn his art. How awesome is this photo! Sometimes in saying goodbye to a member of your family you get to remember their stories and the stories of those that went before them. Love finding old photies like this of my family too. Actually it was also somebody in my family passing away that led me to the discovery.